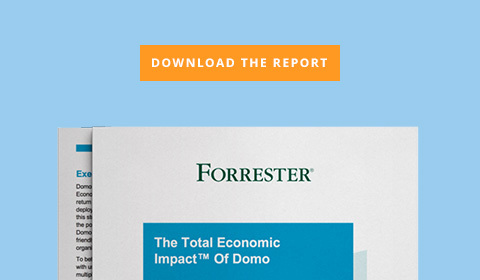 / Forrester Case Study: The Total Economic Impact of Domo. You’ve seen what Domo can do. How it brings together your data and your people in ways that help you make better business decisions every single day. How it gives insights in real-time so you can take action when it counts. You’ve even gotten a glimpse of Domo in action through our Daily Dose demo series. But maybe you’re still trying to decide if Domo is really worth the investment—or still trying to convince your boss that it is. Wouldn’t it be great to see some solid numbers, so you can be confident you’ll get a good return on your investment? 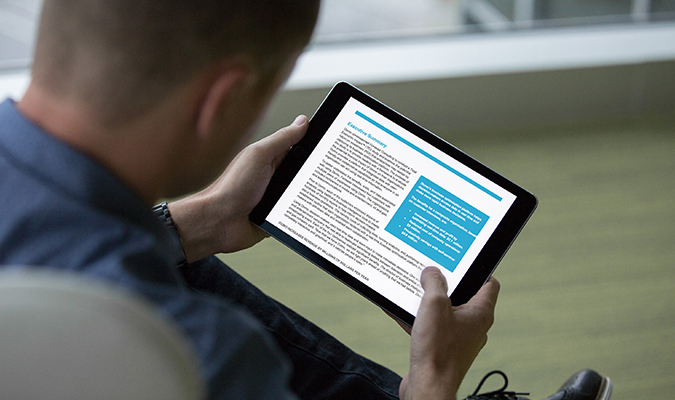 Forrester interviewed, and conducted financial analysis on, four Domo customers. Each has been a customer for a few years, and each has seen some serious positive impact from investing in Domo. What do we mean by positive impact? How about a $12 million revenue increase in a single year—that kind of impact. In fact, Forrester determined that Domo has a 294% return on investment for its customers. That’s the kind of ROI you normally just dream about. And with an average payback time of less than a month, that return comes back pretty fast. The Domo platform gives you the big-picture view you need of your organization to gain actionable insights and make the decisions that matter while they matter. It does this by optimizing real-time data, improving visibility, and increasing productivity—and it does it all with self-service capabilities.